Founded in 1854 with the introduction of ingeniously designed trunks for a new age of steamship travel, the Louis Vuitton of today continues to reflect the company's heritage. Louis Vuitton is renowned for being one of the greatest luxury brands of all time, and none more so than in its range of fine jewellery. One of the most recognisable Vuitton icons is the famous LV initials alternated with a star and flower motif. 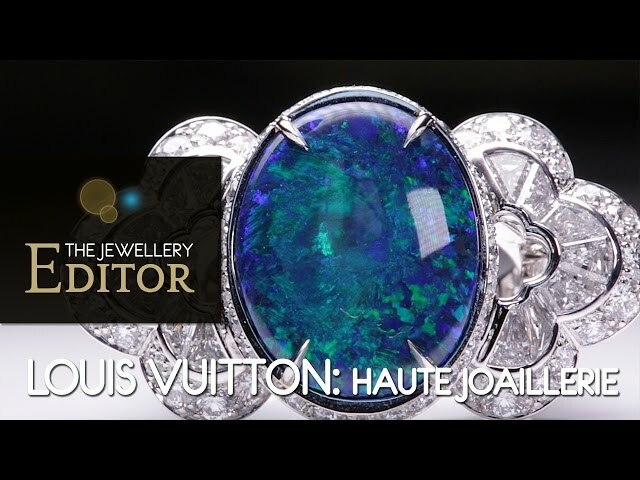 This enduring inspiration for Louis Vuitton jewellery designs is encapsulated perfectly in the Monogram Fusion fine jewellery collection and brought to life in a profusion of rare and unusual coloured gemstones in the Maison's annual high jewellery collections. Louis Vuitton has also been making waves in the world of luxury watches for more than a decade with original designs and complicated movements. The Escale Worldtime Minute Repeater, designed to indicate world time without using a single hand, is one of the most colourful - and most complicated - men's watches on the market. Like each piece of Louis Vuitton jewellery, every new Louis Vuitton watch is designed to mirror the prevailing mood at the Maison. For 2015, for example, Vuitton's ladies' watches echoed the colours and patterns that appeared in its designer Nicolas Ghesquière's ready-to-wear Summer collection. Our selection of men's watches that are sure to bring a smile to his face this holiday season.